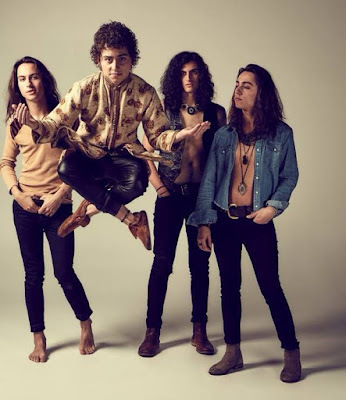 Greta Van Fleet performed at Lollapalooza in Sao Paulo, Brazil on April 8, and video of their full hour-long performance is streaming online. On the road in support of their full-length album debut, “Anthem Of The Peaceful Army”, the Michigan rockers delivered a 9-song set of tracks from the project and a pair of 2017 EP’s – “Black Smoke Rising” and “From The Fires” – the latter of which won the band a 2019 Grammy Award for Best Rock Album as part of the 61st annual ceremony in Los Angeles, CA in February. The Brazil stop marked the group’s third Lollapalooza appearance during an extended series of South American gigs, following similar events in Chile and Argentina late last month. The concerts saw the band’s return to live action after cutting an Australian tour short and cancelling a European run after singer Josh Kiska was sidelined by an upper respiratory infection. Greta Van Fleet will next be seen playing a pair of dates in Mexico City at the end of the month before launching a North American trek in Miami, FL on May 7.